One of my friends recommended this place ,so i took my two kids for hair cut. I was quite impressed because its not only for kids its for the full family. The staff was friendly and they fitted me in for eyebrow waxing as well. I'm pleased and its worth a visit. Now we go there regularly. TRY IT! Join in and write your own blog page! It's easy to do. How? 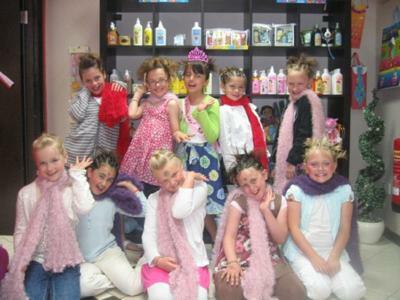 Simply click here to return to Recommend a Kids Hair Salon.